You’ve got to check out our GREAT deals we’ve got today! For one day only, grab Go Outside and Fresh Fizz for just $2 each. At this price, you can get them both! On sale at Gotta Pixel and A Cherry On Top. If you’re more a template gal, be sure to check out the two template packs we have for $1.50 each today at Gotta Pixel , too! March is just a week away, and with it the hope of SPRING! Hooray! I can’t wait to see the flowers bloom, hear the birds in the trees, and enjoy some good ‘ole sunshine. 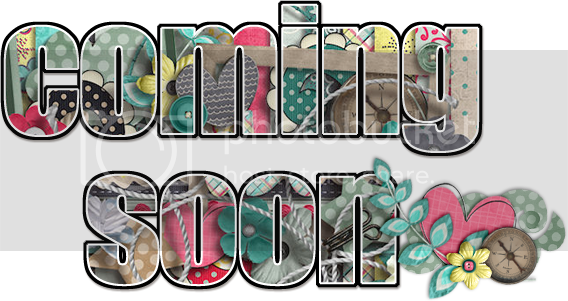 Here’s something I think you are going to enjoy coming your way tomorrow from the Bella Gypsy girls. Leave a comment with your e-mail address by 11:59 a.m. tomorrow, Friday, February 24, for a chance to win this great kit! Hi! It’s Kim here on this beautiful Friday. Another Friday means more new goodies hitting the Bella Gypsy store today. Before we get to the goodies, I hope you all enjoyed the special anniversary sale and surprises yesterday! I hope you all took advantage of the 50% off sale and picked up some awesome goodies. There are a few new things hitting the store today. 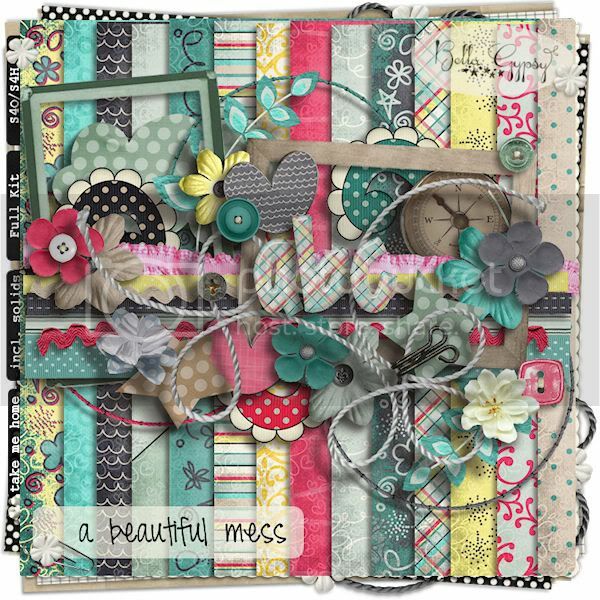 Here is “A Beautiful Mess”. Here is an alpha pack that is hitting the store too! You can check out these new releases and other awesome goodies at the Bella Gypsy stores at Gotta Pixel or A Cherry on Top. I have a freebie for you this week too! To download a border cluster that coordinates with A Beautiful Mess please click HERE or on the preview. How is the weather in your neck of the woods? I hope at least some of you are experiencing some sunshine. Here is it is cold and dreary. I’m ready for spring! Well, at least I can scrap with bright, cheery colors and lift my spirits that way. 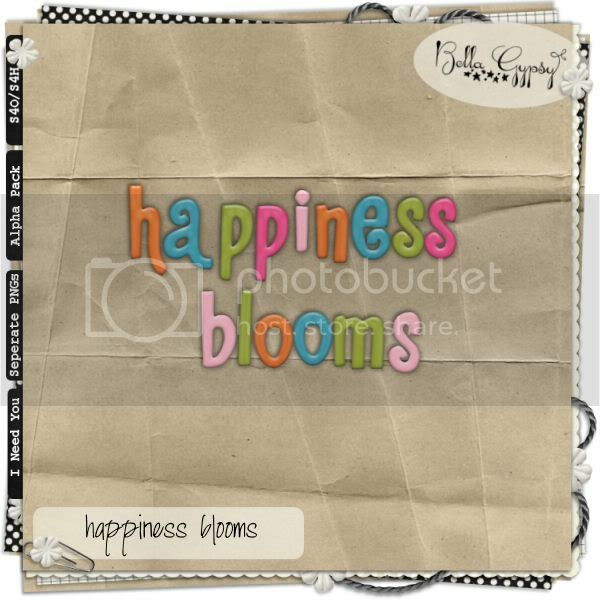 This new kit by Bella Gypsy puts a smile on my face, and I hope it will for you too. 50% off sale will run from 12:00 EST on Feb 15, 2012 until 12:00 noon EST on Feb 16, 2012. Every 6th order during that 24 hours will receive a coupon code equivalent to that order’s purchase price. If that order was $1.00, you will receive a $1.00 gift card. If your order was $9.50, you will receive a $9.50 gift card. Multiple purchases will result in multiple chances to win, but each customer may only win once. Winning emails will be sent periodically throughout the time frame, with ALL winning emails being sent by 5 p.m. EST 2/16/12. Check our Facebook page throughout the 24 hour period for extra promotions, FLASHBACKS and fun! We’ll be sharing some of our early products and layouts…just for a giggle! ENJOY the new freebie, “Free To Be” available under the “Exclusive Downloads” Tab. Download it and USE it! 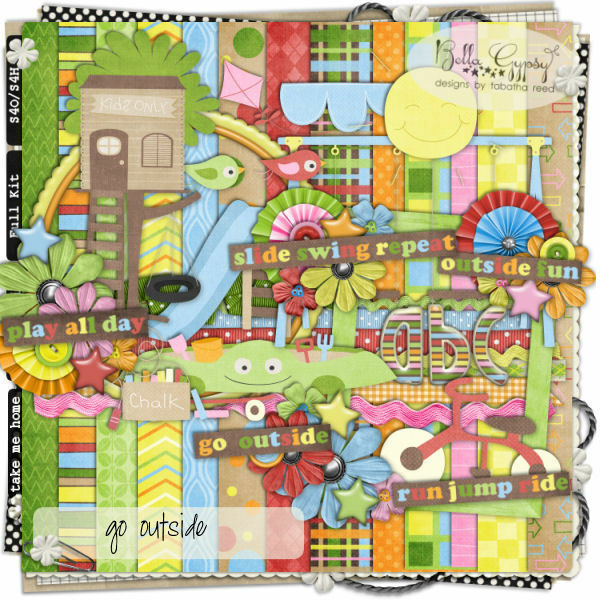 Scrap with it and post your page on Bella Gypsy’s fan page for a chance to win a $20 gift card. Layout contest ends at midnight EST on February 29, 2012. 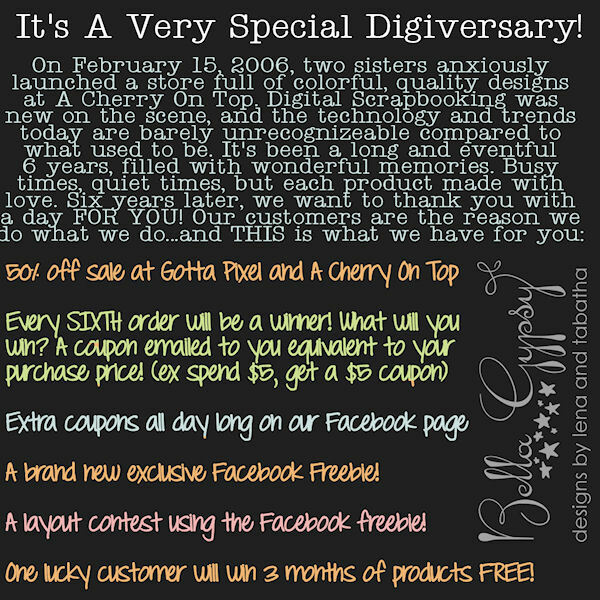 Winner will be announced and contacted by the end of the day on March 3, 2012. Well hello again! I hope everyone is having a good 2012 so far. Are you ready for the “day of love”? Whether it’s a big day for you, a depressing day, or just “another” day, you are going to LOVE what Bella Gypsy has in store for you tomorrow to celebrate the love in your life!